This information was extracted from Go Dairy Free: The Guide and Cookbook for Milk Allergies, Lactose Intolerance, and Casein-Free Living. Navigating the aisles can be somewhat daunting for special diet consumers. Start with the basics. Our descriptive grocery shopping list offers suggestions for “almost always” dairy free foods in every department. Once you feel comfortable with these, check out our extensive Product Lists for other foods (approximately 5000) and brands that spark your interest. Produce: Go crazy in the produce department! We couldn’t even begin to create a list for this category. Fresh fruits and vegetables should always be dairy free, and the choices are endless. As dairy free consumers, we are big fans of the avocado for luxurious dips, the potato for creamy soups, and apples for a classic homemade crisp. Berries, salad greens, kiwis, squash, eggplant, peppers, whatever your fancy…try a new fruit or vegetable each week! Meat: Go for the real stuff, chicken, beef, turkey, pork, buffalo, etc. Avoid the hot dogs, deli meats, and other processed options. Not only do many of them contain dairy, they are also very poor quality foods, and often contain nitrites. Check the ingredients list if you are opting for a marinated cut. American Tradition – Mustard, Mayo, Relish, and Ketchup are almost always dairy free, although vegans may want to seek out an eggless mayonnaise. We highly recommend some of the natural mayonnaises, organic ketchups, and whole grain mustards. The quality can take your burger to the next level. Asian – Almost all Chinese, Japanese, Vietnamese, and Thai sauces will be dairy free. Teriyaki, black bean, hoisin, soy, fish, chili garlic, sweet chili, sweet & sour, and oyster sauces can be found easily in most major grocers, and are all great for stir-fries. Thai curries, satays, and peanut sauces are other tasty considerations. Mexican – Hot sauce! Need I say more…okay I will anyway…we also like the wide variety of milk free enchilada sauces and salsas of the green and red variety. Italian – Most unadulterated tomato sauces will be free of milk ingredients, unless cheese is in their descriptive title. Check the label, and see our top recommendations on the Sauces List. Salad Dressings – Remember, highly processed anything is likely to contain milk ingredients. If you choose from the better quality options, you are likely to find many variations of vinaigrette, French, thousand island, and honey mustard salad dressings that are a go. Chutneys – Mango is the most popular, but there are other chunky style sauces on the shelves. Brand Specific – There are many other brand name sauces from pesto to BBQ to creamy dressings, which are free of milk ingredients. Download our product lists for a plethora of ideas, and read ingredient lists to unearth your own healthy finds. Vinegar – Red wine, white wine, rice wine, white, apple cider, balsamic, malt, rice (red, brown, white, seasoned), did I get most of them? Oil – All oil, canola, olive, avocado, peanut, flax, you name it, is dairy free. Not to mention they are ideal alternatives for cooking and baking. Herbs & Spices – These are all a go as well. Every kind of pepper, salt, cinnamon, oregano, basil, rosemary, thyme, coriander, fennel, I could go on all day, but I think you get the picture. Experiment a little with herbs and spices, the flavors will give you restaurant quality meals. “Pastes” – Miso, curry, tamarind, and wasabi are very popular flavors throughout Asia. These selections are sometimes found in the refrigerated section, sometimes on the shelves. Brand Specific – Seasoning packets are frequently dairy-free, but some may contain milk ingredients, check the labels. Flours – White is out (but still dairy free), wheat, brown rice, oat, amaranth, quinoa, and soy flours are in. These nutrient dense flours will also add some different flavors to your sauces, coatings, and baked goods. Sweeteners – We prefer the more natural sweeteners, including honey, molasses, and pure maple syrup. However, most sweeteners including granulated sugar, brown sugar, dark brown sugar, evaporated cane juice, corn syrup, and stevia are free of milk ingredients. Be wary of sugar substitutes, these are frequently made of chemicals, and we are not aware of their ingredients as they pertain to dairy free living. Chocolate – Cocoa powder as well as Semi-Sweet, Dark, Baking, and Bittersweet chocolate (chips, chunks, etc.) should in theory be dairy free. A few manufacturers may slip milk products in, usually in the form of milk solids or butter fat, so see our product lists and check the ingredients. Most chocolates are at high risk for containing trace amounts of dairy as they share equipment with milk chocolate production. Baking Agents – Thickeners, starches, yeast, baking soda, baking powder, and gelatins should rarely cause a problem. Pure Flavor – Vanilla, almond, anise, cinnamon, rum, they are all dairy free. Marshmallows – Not exactly nutritious, but these do come in handy with kids or holiday baking. Brand Specific – We love baking mixes, pancake/waffle mixes, and breadcrumbs for simplifying our lives. Check the Bread section of our Product Lists for a ton of options. Although there is an abundance of dairy free baked goods on the market, there is no one category that stands out as mostly dairy free. Breads (Sandwich, Bagels, English Muffins, Pita Bread), Tortillas, Cookies, Cakes, Pastries and other sweets should always be checked for milk ingredients. That being said, we have numerous suggestions for each of these foods in the Breads and Desserts categories of our Product Lists. Don’t hesitate to read the labels on freshly prepared foods, your own local bakery will surely have a few hidden dairy free surprises of their own! Guacamole – I bet some of you thought this was too creamy to be dairy free. Hummus – This made the Garbanzo Bean famous! Other bean dips are typically dairy-free, but check the ingredients to be sure. Salsa – Okay, this one is a given, but it is still great stuff! Brand Specific – There are many brands of dips and sauces that offer dairy-free options. Scope out bean dips, tofu-based dips, vegan pates, and nut-based spreads. Nut Butters – From natural peanut to almond, cashew, and sesame seed (tahini), nut butters are all the rage! Many are now spiked with honey or fruit flavors. Check the labels, but we have heard rumor that there are even a few chocolate blended nut butters that would be approved as dairy free. Use them for their oil and flavor in baking; prepare dips, marinades, and sauces; or simply spread them on your favorite bread, rice cakes, or English muffins. Other “Butters” – Apple and Pumpkin butters are our two favorites. Prune puree also makes a great low-fat substitute when baking. The nut allergic can also enjoy some emerging brands of sunflower and soy butters. Jams & Jellies – It may be out there, but we have yet to find a jam or jelly which isn’t dairy free. Go traditional with strawberry or raspberry, or jazz things up with some cloudberry preserves. Honey – Most grocers now carry a variety of honeys, eucalyptus and blackberry are two that intrigued our staff. Dried Fruit – Dried apples, cranberries, mango, cantaloupe, and even kiwis have been spotted in the bulk foods and in the snack aisle (for a more “convenience price”). Almost any fruit can be dried, and manufacturers have certainly been putting that to the test. Nuts – Almonds, walnuts, cashews, pecans, peanuts, etc. All nuts are dairy free, choose raw, roasted, salted, or unsalted. Flavored varieties should be checked for ingredients. Seeds – Flax, Pumpkin, Sesame, Sunflower, etc. Follow the nut guidelines for seeds as well. Gelatin – Jell-o gelatin is a classic and it is dairy free, but not vegan. Applesauce – Try the snack packs for kids, or pick a flavored variety. Fruit Bars and Leathers – These aren’t just for kids, they take care of a sweet tooth nicely. Popcorn – Very few microwave brands are dairy free. But why not purchase the far more economical bag of popcorn and pop it up yourself! Try it with some olive oil and sea salt, delicious! Many people like the cheesy-ness of nutritional yeast (someone needs to come up with a more appetizing name for this great tasting stuff!) sprinkled on top. Rice Cakes – The plain varieties are always dairy free, check our product list to find out what flavored varieties are worth munching on. Pickled Vegetables – Pickles of course, but don’t forget about the other fun cocktail style pickled vegetables, they make a nice snack, and are a bit spicy to boot. Brand Specific – Granola bars, snack bars, cereal bars, and energy bars; there is an endless list of suitable choices. We have done our best to corral them into the Bars section of our Product Lists. In addition, countless brands of trail mix, crackers, pudding mixes, and baked chips are bogging down the Snack section of our Product Lists. Scattered around the store from bulk foods to the ethnic centers, all grains (without seasoning, stuffing, or sauce) are completely dairy free. Gluten Containing – Wheat, Oats, Barley, Couscous, Rye, Kamut, Triticale, Spelt, etc. Pastas – Traditional dried varieties in addition to new blends of rice, spelt, wheat, and kamut noodles, just to mix things up. Brand Specific – Check the Sides category in our Product Lists for some easy seasoned pasta and rice dishes. Hot Cereals – Those big tubs of oats are a healthy and very cheap breakfast option. The unflavored Cream of…(wheat, rice, you fill in the blank) hot cereals are also good options. When you start looking at pre-flavored varieties, check the Cereal section of our Product Lists. Brand Specific – Cereals received their own category in our Product Lists, as there are just too many! Eggs – Although they are located in the “dairy case”, eggs come from chickens, and are free of dairy products. Milk Alternatives – Numerous Soy, Rice, and Potato Milks have been spotted in quart-sized containers in the refrigerated section. Brand Specific – The dairy case also houses several brands of dairy free foods. 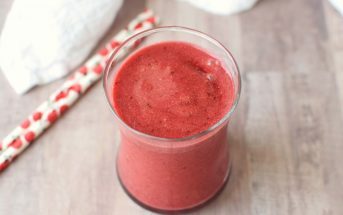 Check our product lists for more information on Smoothie drinks as well as alternatives for Butter, Cheese, Yogurt, Sour Cream, and Creamers. Tofu – Soft, Firm, Extra-Firm, Pre-Baked, Lightly Fried, Dessert style, so many choices and an abundance of ways to use it in cooking, smoothies, and baking. Brand Specific – There are many “Meatless-Meats” on the market, but several do contain casein or lactose. Check our Product Lists for some true vegan options, or look for “vegan” on the label to ensure it is free of all animal products. Asian Style – Won Ton wrappers, rice paper (dried also), and spring roll pastry are easy to find. “Un-Stuffed” – Fresh linguini or angel hair is always a deserved treat! Brand Specific – Dairy free raviolis and perogies can be found. Check the Frozen Entrée category in our product lists, and nose around in the refrigerated and freezer sections of natural food grocers. Our office has picked up some great dairy free salads, wraps, sushi rolls, cooked meats, and other meals to go in the prepared section of our local grocer. Unless you have severe food allergies, you need not write off this section. Look around; most grocers will list the ingredients on the packaging or label. It surprised us to find out that potato salad and coleslaw even made the cut! Check our Recommended Stores for a better selection of freshly made dairy free meals. Juice – We love juice! Especially the 100% pure and fresh squeezed varieties. Only on the very rare occasion will you find milk contamination in juices of the fresh, jar, box, or squeezable pouch varieties. Not to mention, the selection is multiplying…Orange, Cranberry, Grape, Apple, Pineapple, Blueberry, Carrot, Cherry, etc. Bottled Water – Just a reminder in case your tap water is less than desirable. Milk Alternatives – Packaged in aseptic containers, these soy, almond, rice, nut, and grain milks are shelf stable, and typically have expiration dates for a year out. Load up on your favorite varieties when they go on sale. For some brand ideas, check our Milk Alternative section. Tea – Our favorites are green, white, chamomile, and jasmine, but any variety will do. Coffee – We prefer to recommend tea, but coffee is a naturally dairy free beverage. 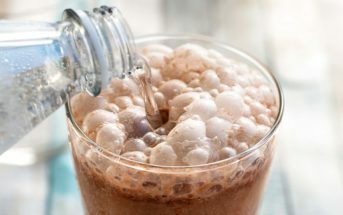 Brand Specific – When you are short on time, and need a little extra energy, there are several meal replacement beverages and smoothies, which are free of milk products. Check our Beverages section. Soy & Rice “Ice Creams” and Novelties – All that we have found are completely free of dairy and delicious! Juice Bars & Sorbets – Naturally dairy free, and oh so refreshing! Frozen Fruit – Just for health sake, try to select the ones without added sugar. Frozen Vegetables – What a fantastic invention, nicely chopped up vegetables ready for cooking with or without defrost! There are some “creamed” varieties out there, these most likely contain dairy. Asian Meals – Check the labels, but thus far all frozen wontons, gyozas, dumplings, and egg rolls we have spotted in the freezer section have been dairy free. For a healthy twist, try steaming the gyozas and dumplings, boiling the wontons in soup, and baking the egg rolls with a dusting of heart healthy oil. Brand Specific – If you are a convenience lover, you are still in luck. Numerous dairy-free frozen entrees are available these days. Yes, there are even dairy free pizzas! Beans – Dried or canned; pinto, garbanzo, or black; all varieties of beans are dairy free and delicious. Olives – We love them so much, that they had to be mentioned separately. Coconut Milk – Check our Dairy Substitutes section and you will see the versatility of coconut milk extends far beyond curries (although we do love a good curry!). Lentils – These are easily found in the bulk department, or bagged with the grains. Cheap, tasty, healthy, and very filling. Chili – Most hearty chili-in-a-can’s are dairy free and will soothe any savage beast. Double check the label to be sure. Canned Veggies and Fruit – One member of our staff prefers the canned mushrooms to the fresh ones, go figure. Brand Specific – Soups come in so many varieties, by so many manufacturers, so they each should be assessed. We have listed several brands of Soups in our product lists, but I am sure there are many more if you peruse your store shelves. Packaged rice and pasta meals or Side Dishes are also a nice quick fix. I just can’t tell you enough how blessed I am to find this website. I know there has to be a lot of time and effort that goes into this and I am very grateful for this. I really just can’t thank you enough for this blessing. I have recently been diagnosed with an allergy to milk and casein. I am so glad I found your website as it is a fountain of information. I have been sensitive to dairy all my life (GI problems) but now I can no longer tolerate it as it has become to the point where my throat swells up and I break out in hives even if I eat a small amount of food with milk in it. Thank you for giving me a new outlook on my new lifestyle change. How scary! I’m so glad you have found the problem and that you’ve found us here at Go Dairy Free! Do you know if a lactose free candy exist? Is there a list of dairy free foods that can be printed, My 5 year old son has a milk allergy. It has been hard to find foods he can have. I wish there was a list with some suggestions to be able to go to the store with, to buy products that are dairy free. Until I am able to educate myself on dairy free items. thank you for your help. Hi Jean, we have our product lists – http://www.godairyfree.org/no-dairy-product-lists – they are extensive though! I just wanted to send out a very sincere THANK YOU for all the hard work that goes into this site. I’ve had stomach and breathing problems my entire life and it wasn’t until a few weeks ago that I was finally diagnosed with milk allergy. I’m nearly 30 and my entirely life I have been damaging my body because I had absolutely no idea I was allergic to milk. When I found out, initially I thought, “ok, no milk, cheese, yogurt, etc” but then I started checking labels and was completely devastated. it has been quite the frustrating lifestyle change, especially at this point in life- but thanks to this website it is a bit easier to deal with and learn about. So thank you. A million times, thank you!!! So happy that I can help Jill! Hey what about the lac resin used on some produce? I have a milk allergy and buy organic to avoid it. Also some pork has lactose in the solution they add to it so read the labels on your meat for additives and try to buy all natural. is there a cheese without milk and fat! am lactose intolerant, also, colesterol 5.9 need to be reduced! can you help! Did you know that most Cabot cheeses are lactose free? They are not well labeled but if you look closely, they do mention lactose free in small print. I can vouch for their safety. PLEASE don’t forget WHEY, a byproduct of the cheese making industry. It comes directly from milk and will produce the same symptoms as lactose (only stronger).